This is an opportunity to go into the Harbor of Refuge lighthouse all the way up to where the lighthouse keepers stood on duty. 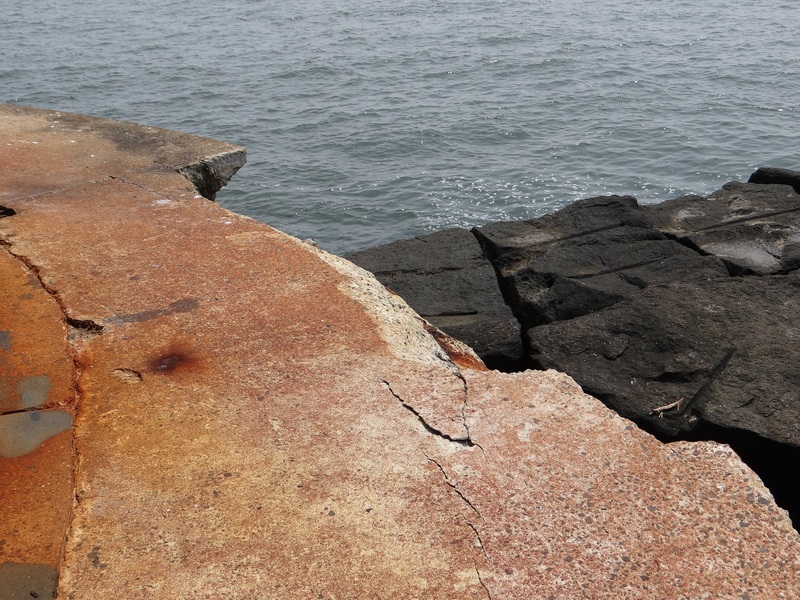 This link will take you the Registration form, Release form, Safety Regulations and Cancellation policies for the Harbor of Refuge Lighthouse Tours. On the Sunset Cruises we will not be going into the lighthouses. 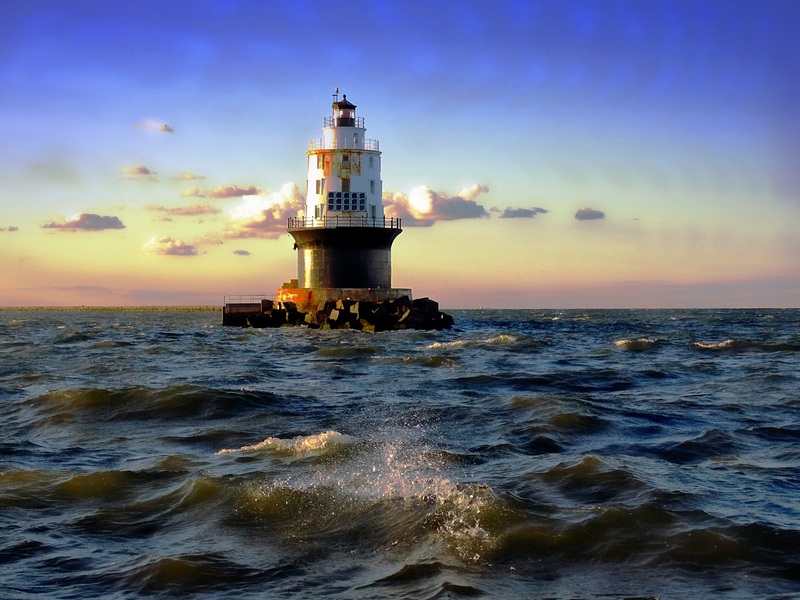 We will cruise up the canal, out to both Breakwater Light and Harbor of Refuge Light. We will be cruising by each of them at Sunset so you can get closeup photos of both these iconic lighthouses. On many of the cruises we have seen lots of dolphins so don't forget your cameras. Click this link to get to our registration form for the Sunset Cruises. 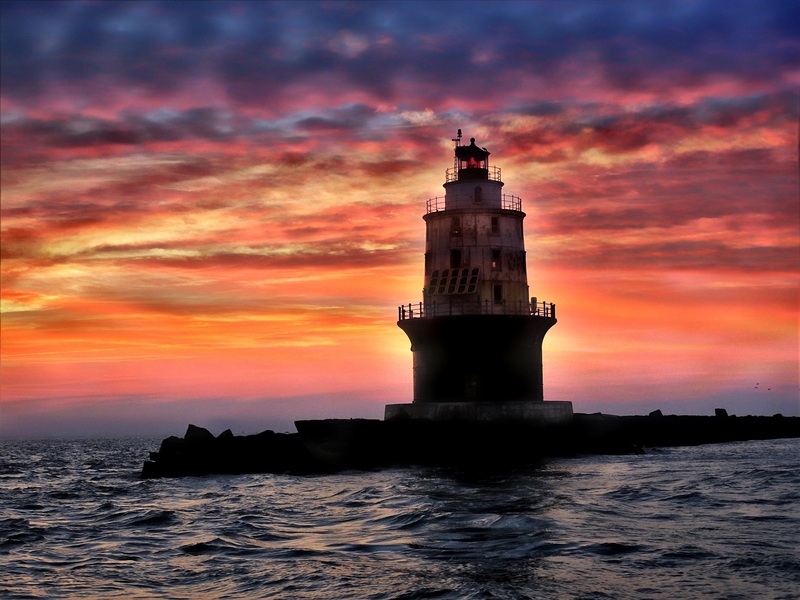 We're already planning for our 2019 work trips to Harbor of Refuge Light! One area that we will focus on next year in the caisson (the part of the light painted black). 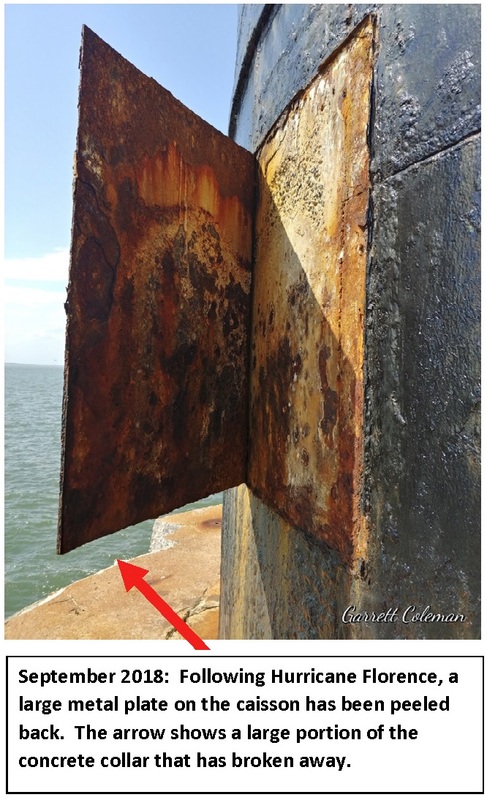 In September we found a large metal plate that had literally been peeled back by Hurricane Florence (see first photo). The concrete collar that surrounds the structure needs a lot of work, too. 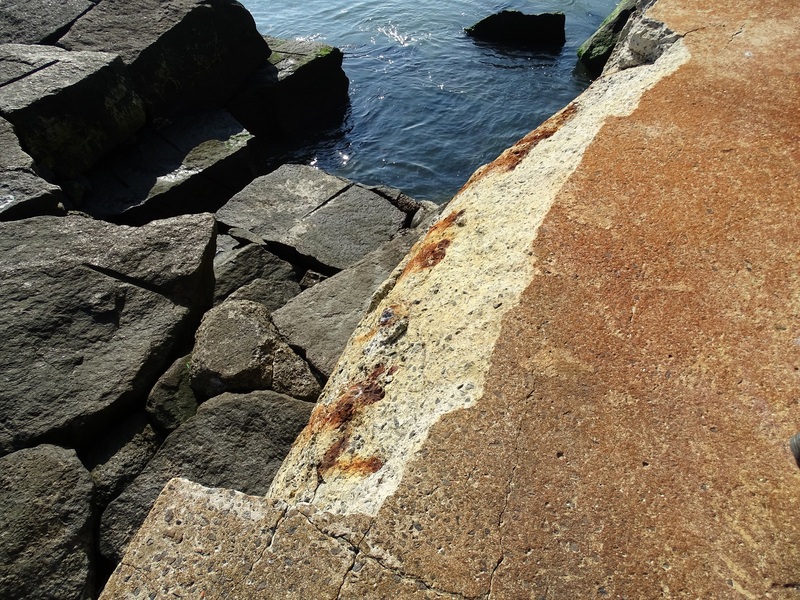 There are many cracks, chips, and even large sections that have broken away over the last few years (see photos below). To finance this big project, we've launched our "Cash for the Caisson" campaign. Those donating $100 or more towards this campaign will have their names added to a plaque to be displayed inside the light. Donations are gratefully accepted at our mailing address: DRBLHF, PO Box 708, Lewes DE 19958. To contribute with PayPal, please use the link below. Thank you for your support. It makes a difference! 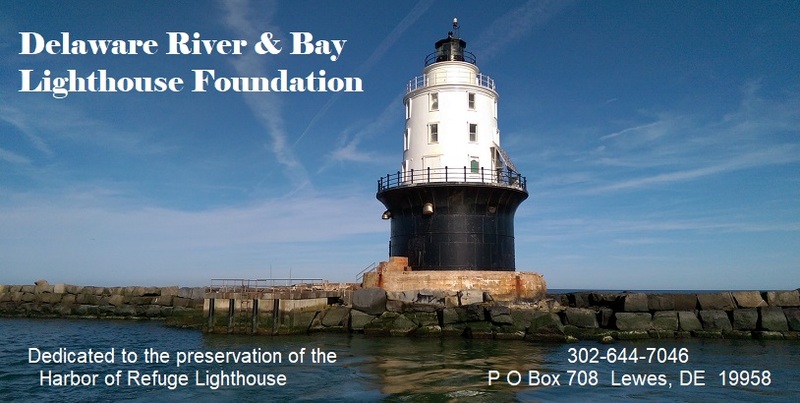 Donors at the $100 level will be listed on a plaque inside the lighthouse.